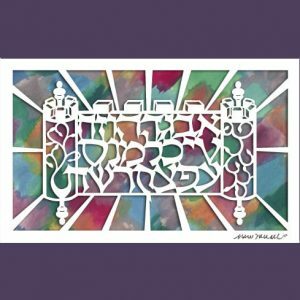 Categories: For Parents and Grandparents, Gifts for the Jewish Home, Jewish Wedding Gifts. 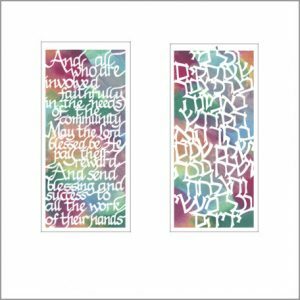 Tags: Gifts for the Jewish Home, Ilan Ilan Papercut, Jewish Papercut, Judaica, Talmud Art. 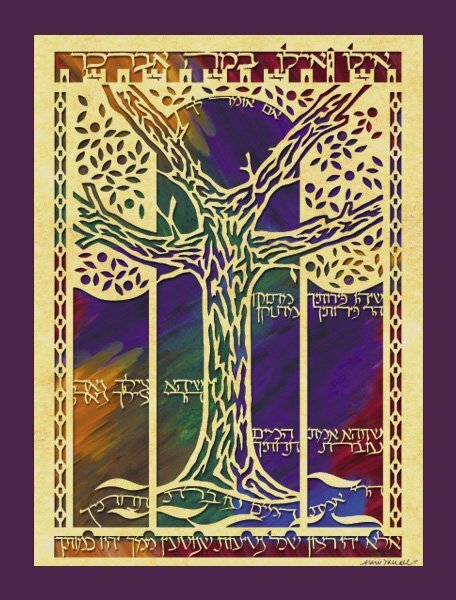 The words that appear in this beautiful tree design are from the Talmud Masechet Taanit 5b . 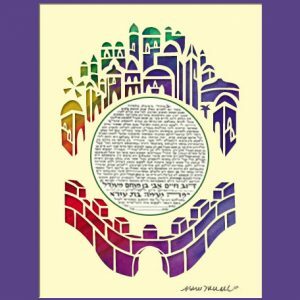 As Rav Nachman takes leave of Rav Yitzchak, the latter blesses the former with a parable. 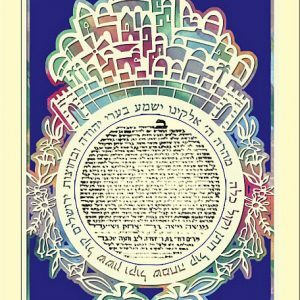 He compares Rav Nachman to a tree that has sweet fruit, pleasant shade and a bountiful water supply, and declares that the best blessing possible for one who is already blessed is that “Your children should be like you.” This is a blessing often repeated at life’s many momentous occasions. This beautiful gift can hang by itself or be made into a lovely Jewish family tree. 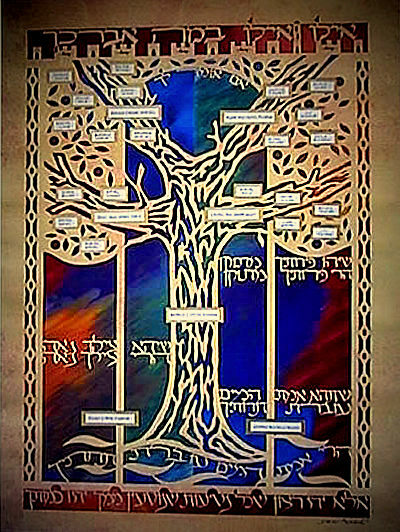 Transforming the “Ilan Ilan” papercut tree into a Jewish family tree is a lovely way to personalize and enhance this art piece. Simply remove the tabs from the kit bag (included with the art) and write your family members’ names with neat penmanship. There are longer tabs for married couples and shorter ones for single children. Then experiment with placement of the tabs until you are satisfied. (Click here to see a sample. A page of sample family trees with tab placements are included in the kit bag). Finally, peel off the sticky back of the tabs one by one and with a steady hand, place them in the desired locations on the tree. Frame and enjoy! Tree, O Tree, with what shall I Bless you? Well, your fruits are already sweet. Your shade is already pleasant.